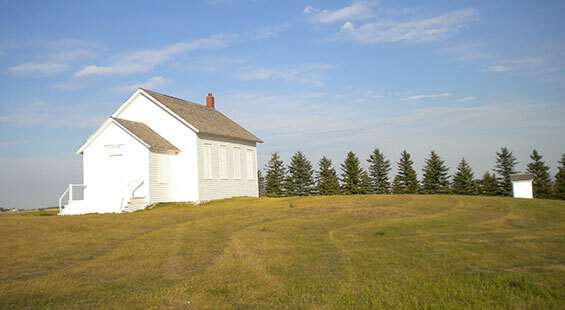 In 2009, the theme of the ND Governor's History Conference was education. As part of that conference, the State Historical Society asked members of the public to help document the country school houses that remain on our landscape. Several individuals sent in information about schools but one lady, now known in many parts of the state as "The School Lady," has compiled information on over 500 country schools. Kathy Wilner started with one school in particular, the Ingersoll School, and then decided to do some schools around her county. Over time, she partnered with County Historical Societies and won grants to continue documenting schools around the state. Ms. Wilner was awarded the Heritage Profile Honor Award in 2017. Hard copies of all the information Ms. Wilner compiled are available for viewing at the County Historical Societies and digital copies are available on this page. In some cases, the names and locations of school have changed over time and these records are based on the information available at the time the record was made. Click a county on the map or in the dropdown below to view a list of country school houses by county, or view the full list.